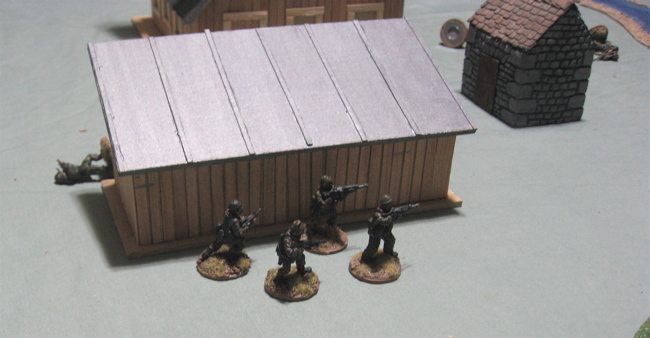 On May 30th, 1982, a Royal Marine Mountain and Arctic Warfare Cadre OP reported the arrival of Argentine special forces in their area. Concerned that the Argentines might set up their own OP on Mount Simon from which they would be able to call in air strikes on the Marines advancing towards Teal Inlet, they had to be removed. 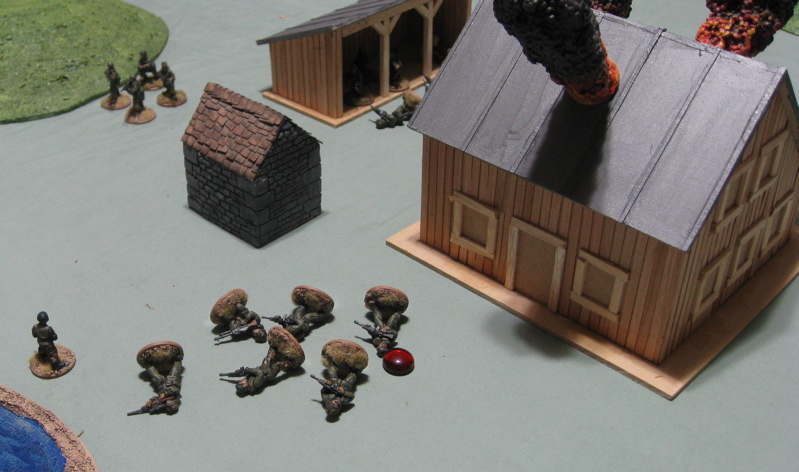 The Argentines holed up for the night in an abandoned Sheppard house known as Top Malo House. ON the morning of 31 May 1982 a force of Royal Marine Mountain and Arctic Warfare Cadre troops was inserted by helicopter to attack the Argentines position. 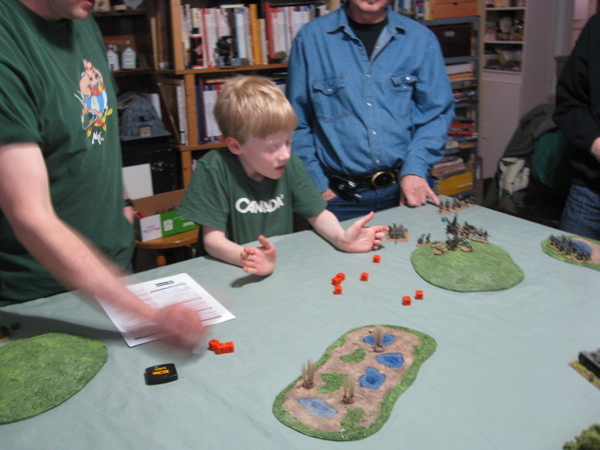 The scenario is straight out of the Force on Force main rules book (on page 182). The British Marines have to dislodge the Argentines from and/or kill or capture all of them. 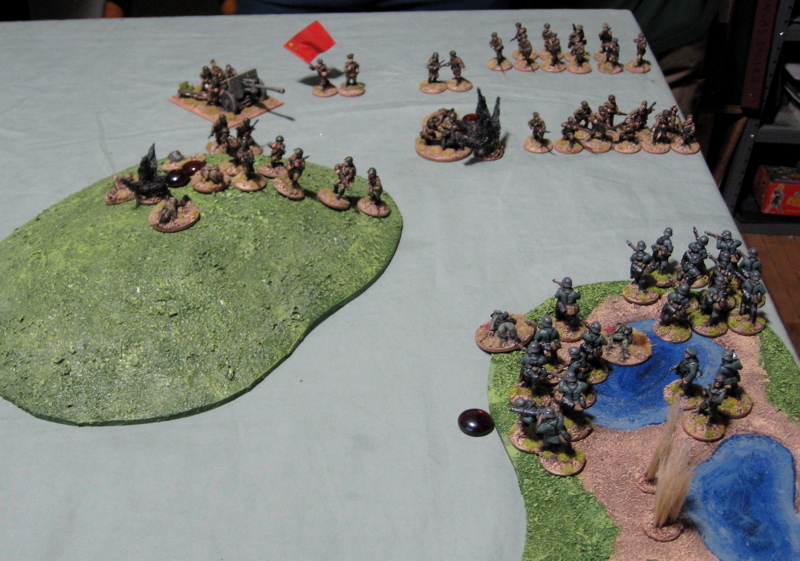 The Argentines have to hold the position or withdraw their forces off the table and try to cause as many British Casualties as possible. Gary and Patrick took the British and Other Tim took the Argentines. 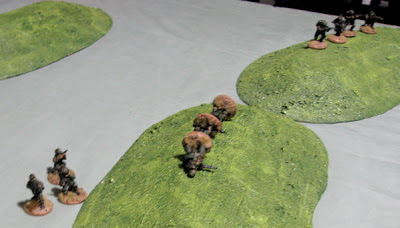 Initial Deployment: in the foreground is the RM Assault Element commanded by Patrick. 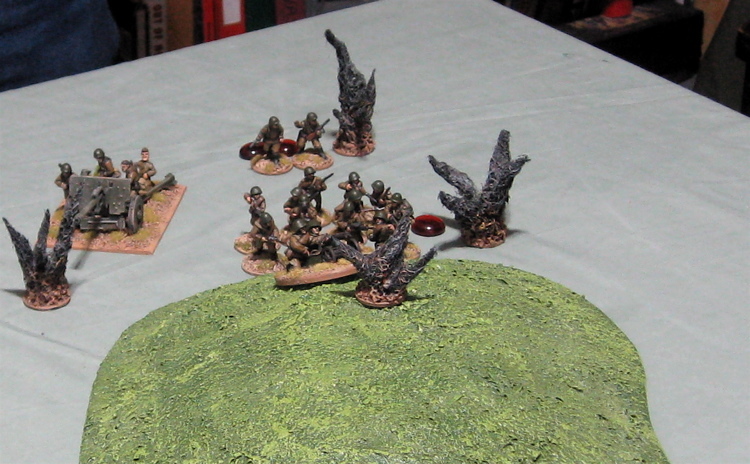 Further back is the fire Support Element commanded by Gary. All the Argentines are in the house. The RM Fire Support Element dashed up to the low ridge in front of them and the Assault Element held their position. 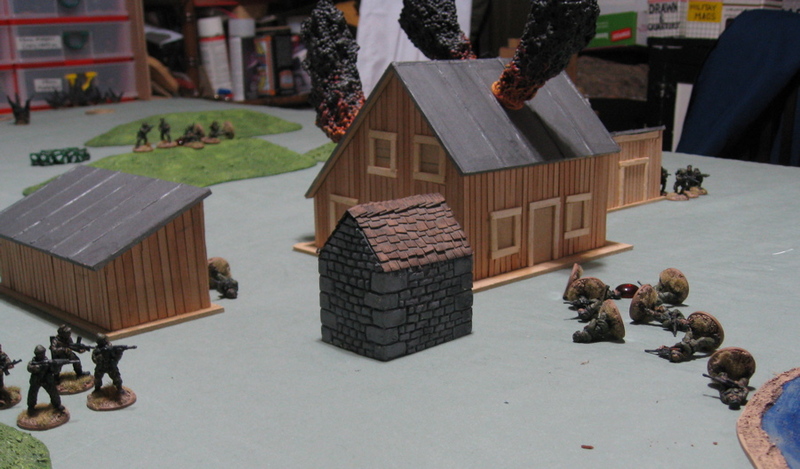 In the End Phase the Argentines spread out into the adjoining out buildings. 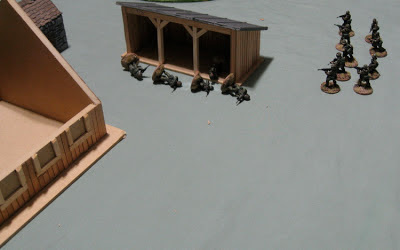 Fire Team Two of the RM Support Element fired on Argentines taking cover in the shed close, knockig them all out of action before they could effectively return fire! ...but the return fire from the Argentines took out all three British! A pretty devastating first turn of action! 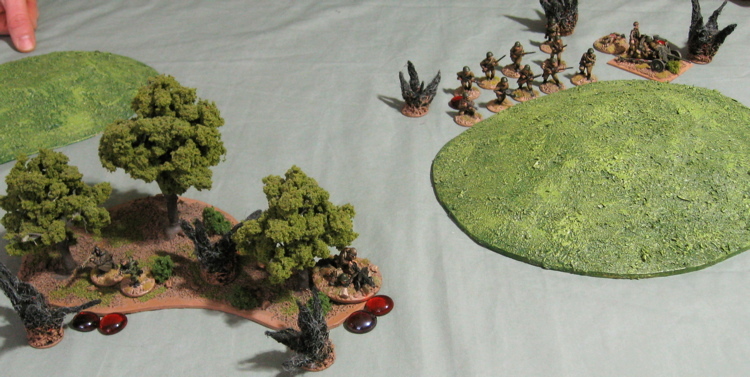 The British retained the initiative. 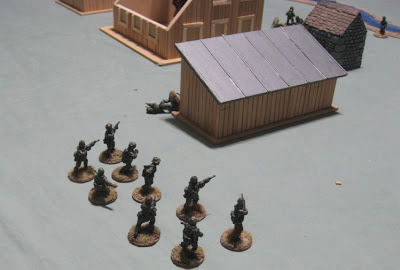 The Argentine casualty in Top Malo House turned out to be lightly wounded. 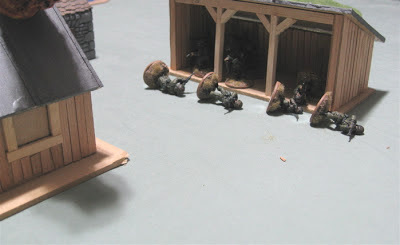 The status of the RM GPMG team and the Commandos in the Shed remained unknown as they were all down and no one was present to check on them. The RM command team started moving over towards the RM GPMG team to see why they were not firing anymore. The other Fire Support Team sat on overwatch while the Assault Elements rushed the stable. The fire from the two teams effectively put the Argentines within out of action before they could effectively return fire. One RM Assault fire team entered the building taking control of the Argentine wounded within and firing upon the retreating top Malo House causing two more casualties. 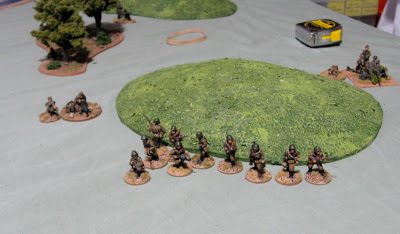 The Argentines falied morale and their return fire was ineffective. The other fire team of the Assault Element ran round the back of the stable hoping to flank the Argentines the following turn. 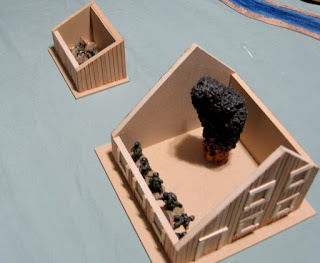 The remaining RM Fire Support Element (in the distance there) would make a rapid move in the direction of the shed full of Argentine commandoes they’d previously shot up. 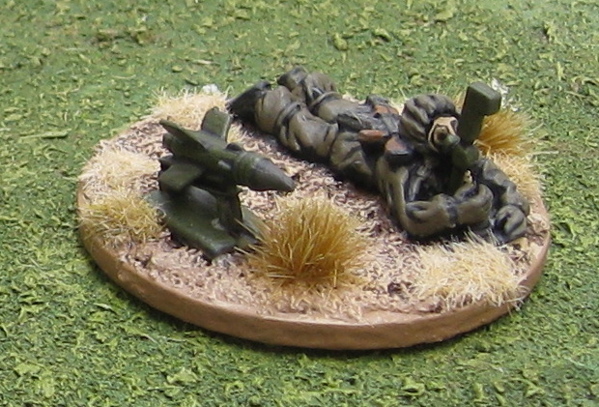 The RM HQ element arrived at the position of their wounded comrades on the low rise where they’d been shot down. 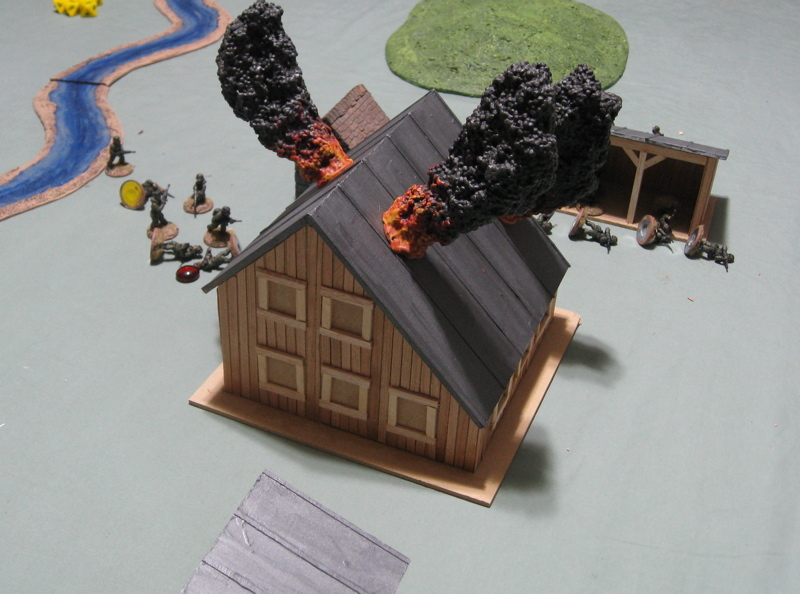 Checking the Fire Suport Team the HQ element found two to be Seriously Wounded (2 victory Points for the Argentines!) and the other was only Lightly Wounded. The Argentines casualties in the group fleeing out the back of Top Malo House, one was Seriously Wounded and and the other Lightly Wounded. 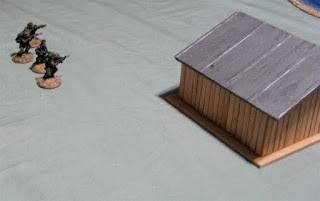 The RM assault Element checked on the Argentines in the stable and found one to be Killed in Action, one Seriously Wounded, and the remaining three were Lightly Wounded. The RM assault team in the Stable fired on the REtreating ARgentines again, causing two more casualties. The British took this game scoring 8 victory points (5 for killing or capturing all Argentines by Turn Six and 3 for clearing all argentines from the buildings before Turn Six). 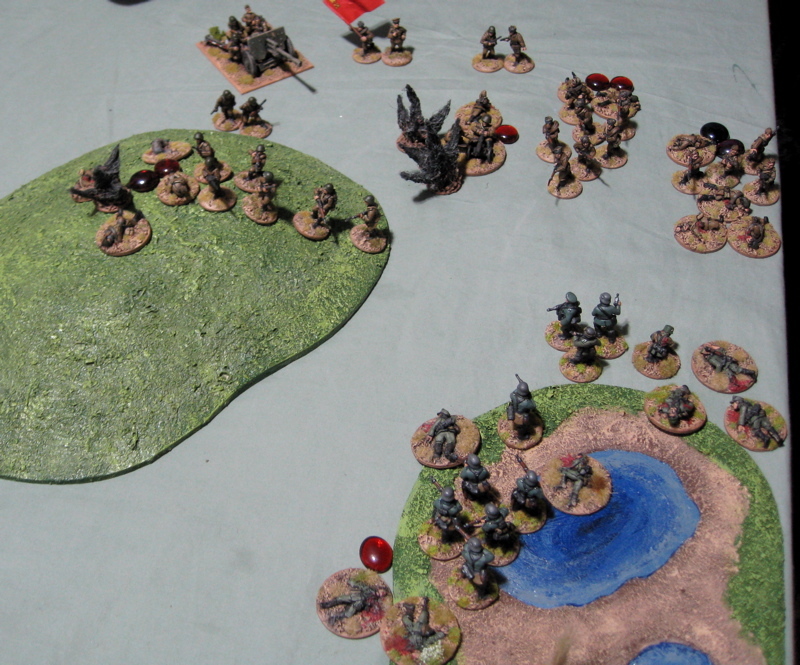 The Argentines weren’t shut out, however; they scored two for the two serious injuries they caused the British. 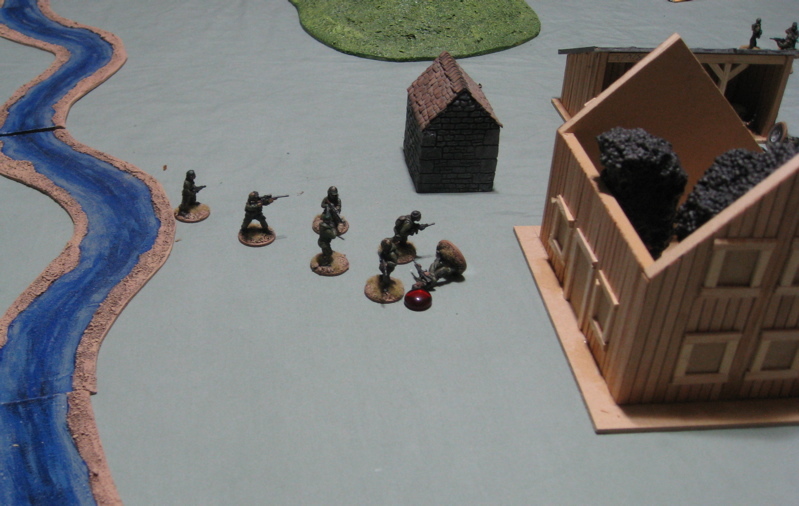 Among the Argentines there were four killed in action, seven seriously wounded, and seven lightly wounded. I really like force on force. 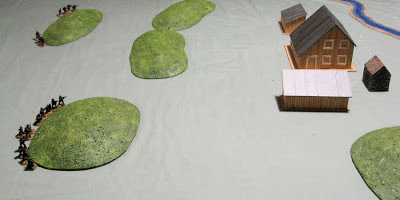 There were a few things I wasn’t totally clear about in the scenario and a few things I forgot. The things I was confused about was whether we were to keep track of LAW rockets? Was each person armed with them carry just one or a few of them. 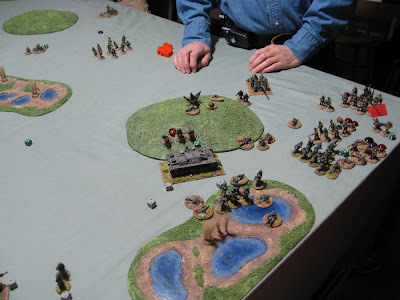 We treated them as ATGMs and did a TQ test to see if they could fire one each turn the wanted to fire – of course being TQ d10 meant they pretty much always did – which gave them some pretty overwhelming firepower. 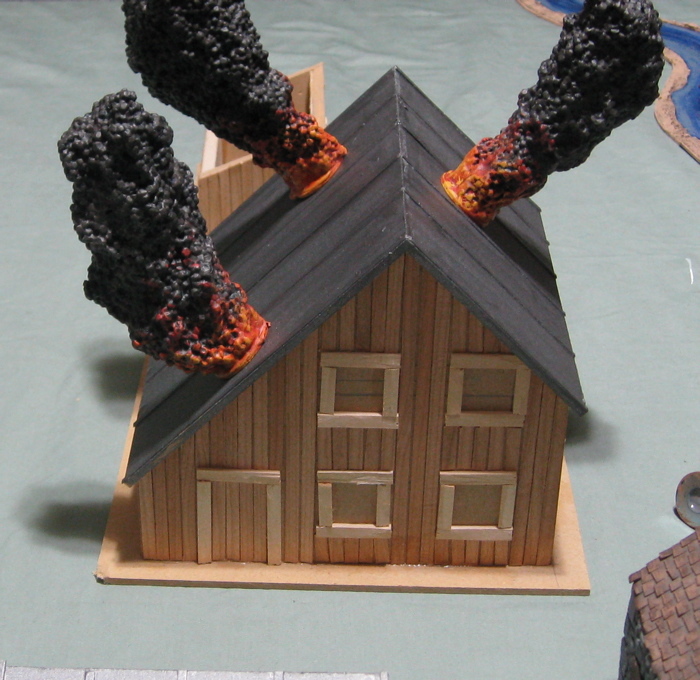 Also I was confused about the building destruction rules as it seems to be changed fromt eh standard rules which only allows weapons with an unmodified 4D to attempt such things… and it got kind of awkward when a fire team was firing two (or three) – plus a guy firing a rifle as the two (or three) building destruction tests and the small arms fire all had to be worked out separately… or perhaps they were supposed to only allowed to fire ONCE at a target each turn i.e. one rocket OR small arms…? I completely ignored the M79 grenade launchers (as they were supposed to be allowed to make building destruction tests as well – according to the scenario). 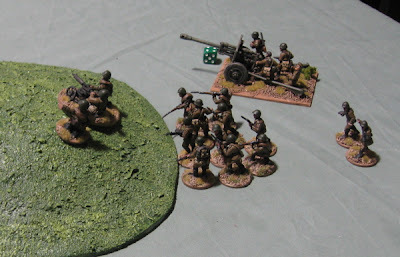 The scenario is super tough for the Argentines - they are totally outclassed and outnumbered by the British (or at least British firing volleys of LAW rockets) . 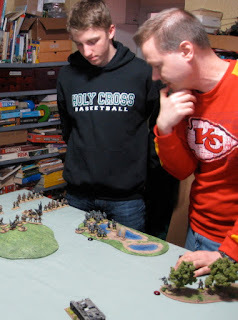 There is no way they can "win" in the traditional sense of defeating the British - they have to play to the victory points and try to execute a fighting retreat - give up the position to the British (which does give some VP to the Brits), but then deny the British points by exiting troops off the table (and potentially gain some if they get half off!) 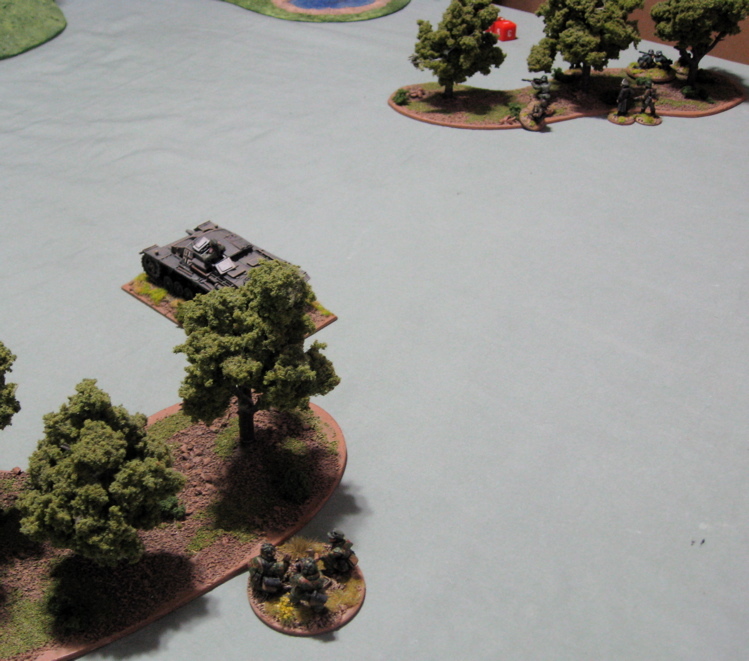 and then maybe try and pick up a few points by causing British casualties…? Well now that that’s over… what to do next… I’m kind of jazzed to get going on some more modern stuff to play more Force on Force (and I just got my hot little hands on Classified - my little Birthday Present to myself! …among other things…). 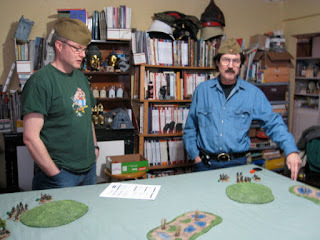 As a sort of warm up for the Wargaming Birthday Bash we played a little game of Bolt Action on Saturday Afternoon. 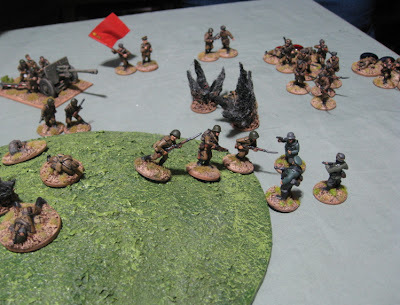 The Germans have invaded and are plunging deep into soviet territory, encircling vast swaths of the Soviet Red Army, cutting them off and the annihilating them! 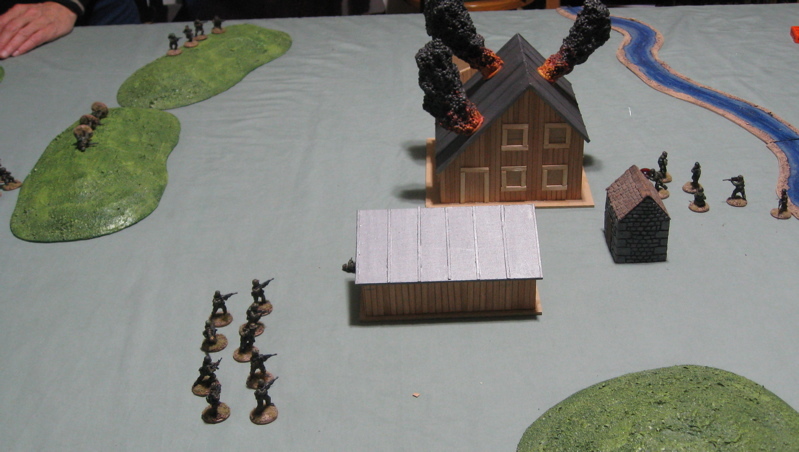 Again we played SCENARIO 1: ENVELOPMENT, straight out of the Bolt Action rulebook. 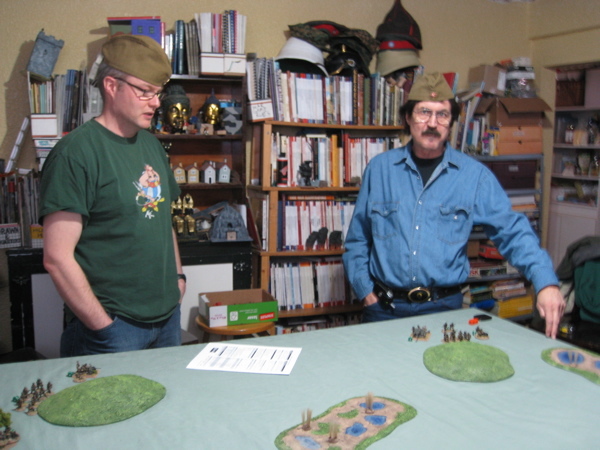 Christian and Gary took the Soviets and Other Tim and Patrick took the Germans. Preliminary bombardment on the Russian right the Sniper, the MMG team, and the Light AT gun each took 2 pins and the AT gun lost one of it’s crew! The Rifle Squad only took one. 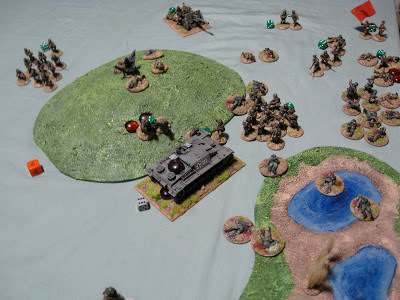 Over on the Soviet left, the platon commander took 2 pins and the Rifle Squad took one. The rest (Howitzer and MMG) were fine. 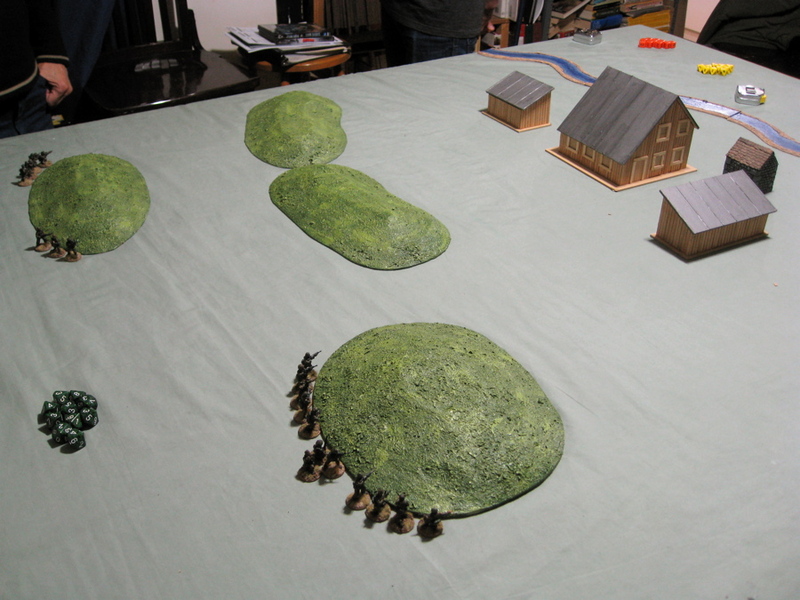 The soviets mostly spent the first turn rallying. The Soviets on the German right maneuvered around the hill a bit to stay out of LOS and the Zis went into Ambush Mode – should the Stug (or any other target) roll into view. 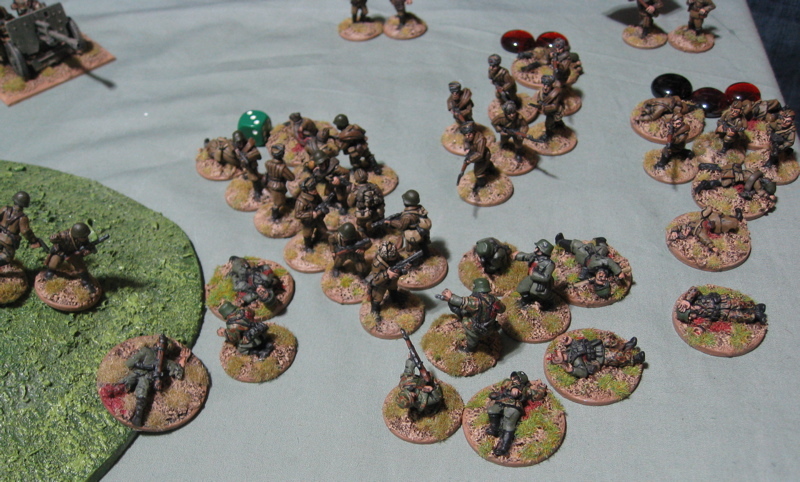 The remaining Soviets (two rifle squads, the SMG squad, a Platoon and Company Commander) all remained in reserve to see where the real German attack would develop. 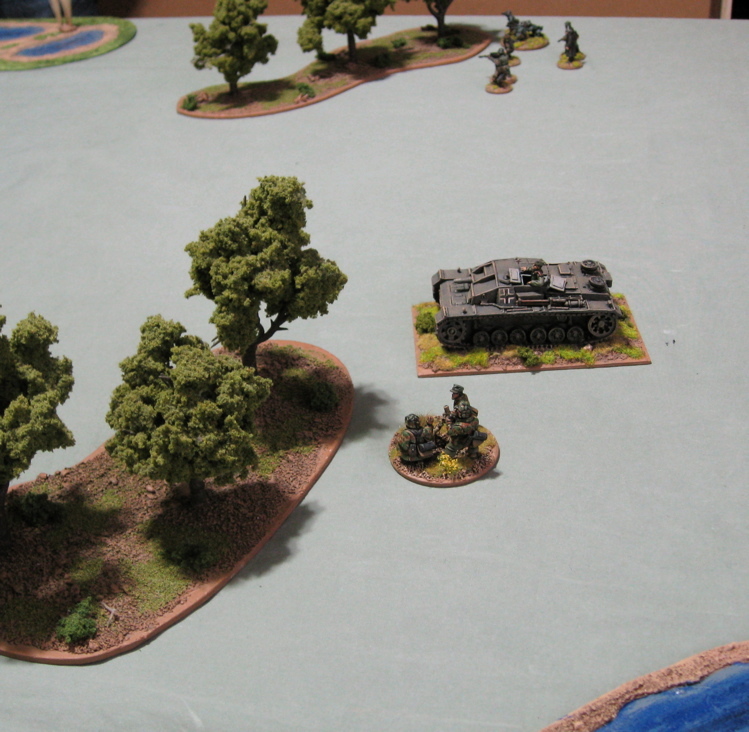 The German Stug rumbled forward, The rest advanced through the woods to get into a firing position. The German MMg team fired on the Soviet MMg team causing a casualty. 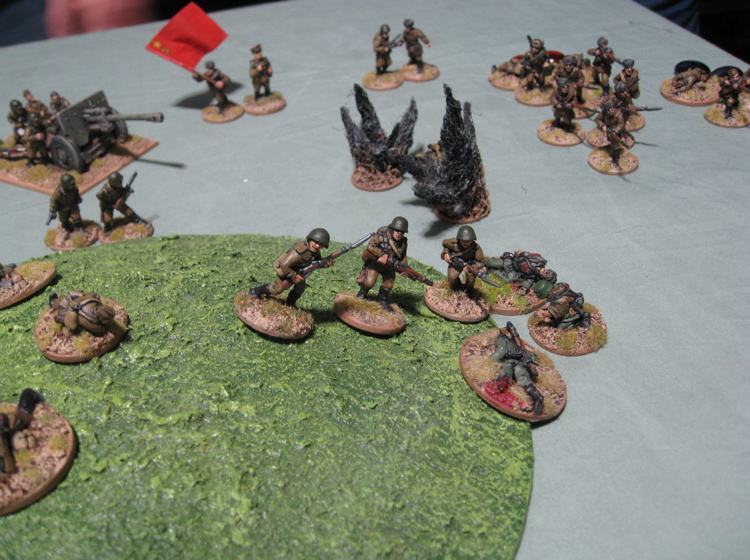 The Soviet MMG team in turn failed to receive an order to (I think…) return fire – so they just went to ground and cowered as bombs from the German mortar started to drop around them (with little effect – still ranging in). The German sniper team moved into position. The Soviet Rifle squad rushed to the crest of the hill and fired on said sniper team – a “nigh impossible shot” (needing sixes, followed by sixes) hit alt least once, maybe twice, but failed to cause any casualties. 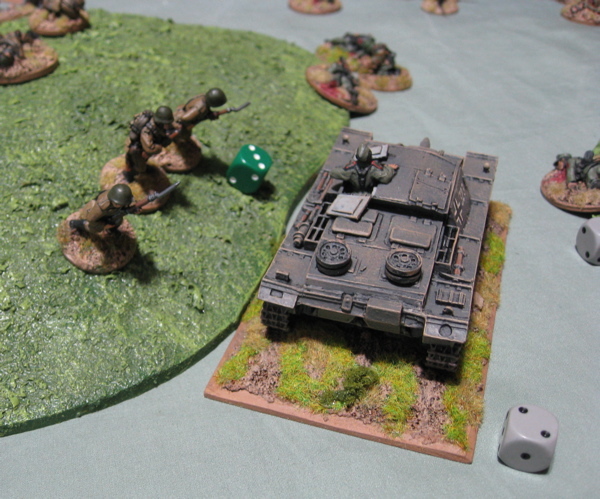 With targets now presenting themselves the Stug rolled up and fired on the soviet Rifle Squad causing two casualties! 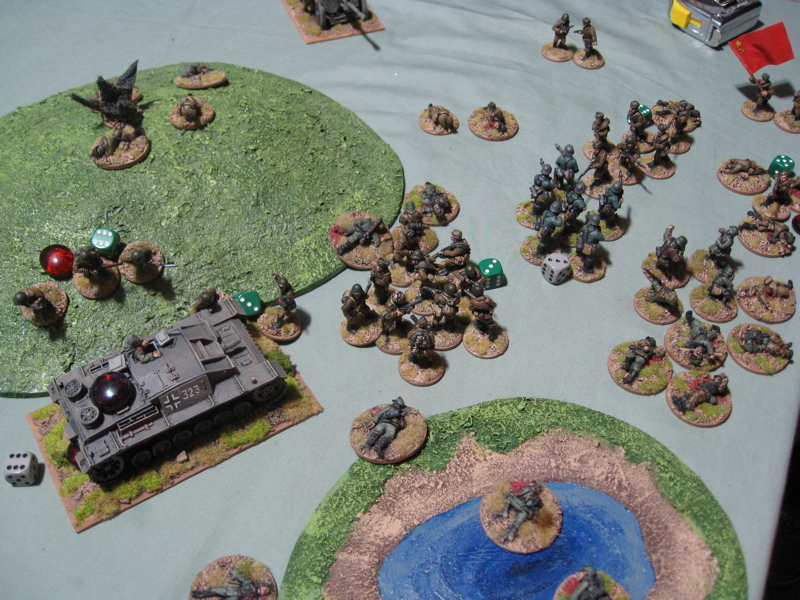 A German Squad arriving on the flank also shot up the Soviet Squad causing further casualties. I’m not a fan of the flanking. It’s just silly. 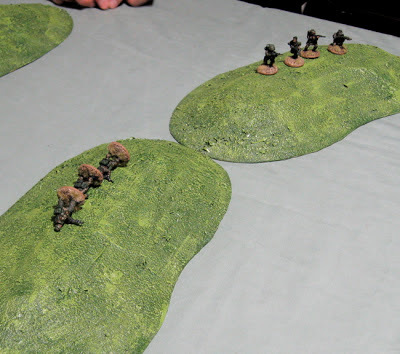 The soviets finally realized the Germans had concentrated their attack on a 2’ frontage of the (7’) table and began to try and redeploy their stranded elements over on the other side. I don’t know what’s going on here… it looks a mess… The Soviet SMG squad seems to have finally come out of reserve, as has the last of the German flanking squads…. 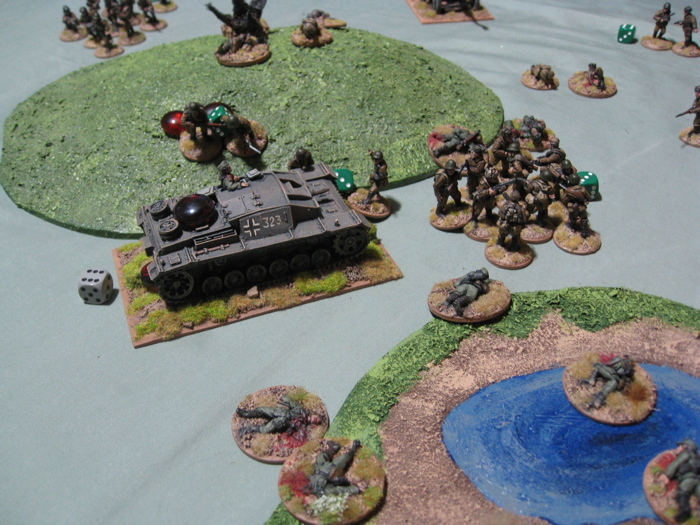 A soviet Platoon Commander Close Assaulted the Stug and immobilized it! That’s about it… Game ended at the end of Turn Six. I should have a couple game reports up over the weekend as I'm planning to play another game of Bolt Action on Saturday and then the 9th Annual Wargaming Birthday Bash (Force on Force) is on Sunday! Huzzah! Unfortunately ordering from Eureka USA most of the ranges are only sold in complete sets of one of each pose... which doesn't necessarily add up to anything resembling any sort of TO&E... But with what I have here I can more or less field an under-strength platoon (what platoon in the field was EVER at full strength anyway, right?). 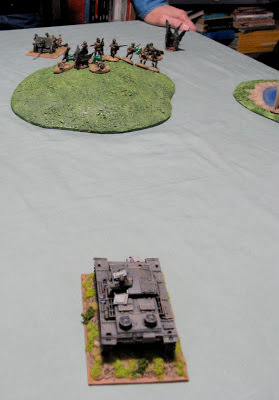 Insofar as I can tell there was only ever 6 or 7 that dismounted from a BMP or BTR, so these aren't terribly under-strength. 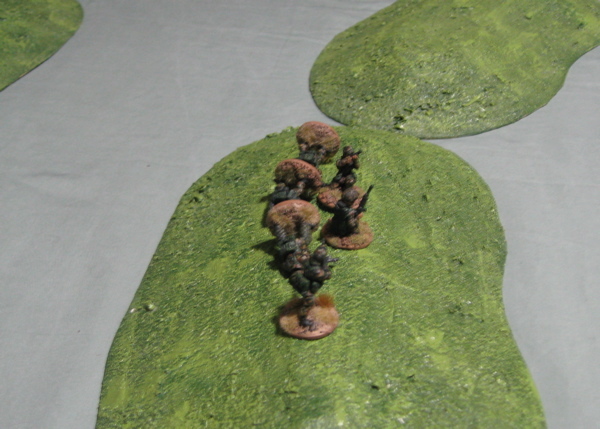 Third Section - including the platoons designated marksman. 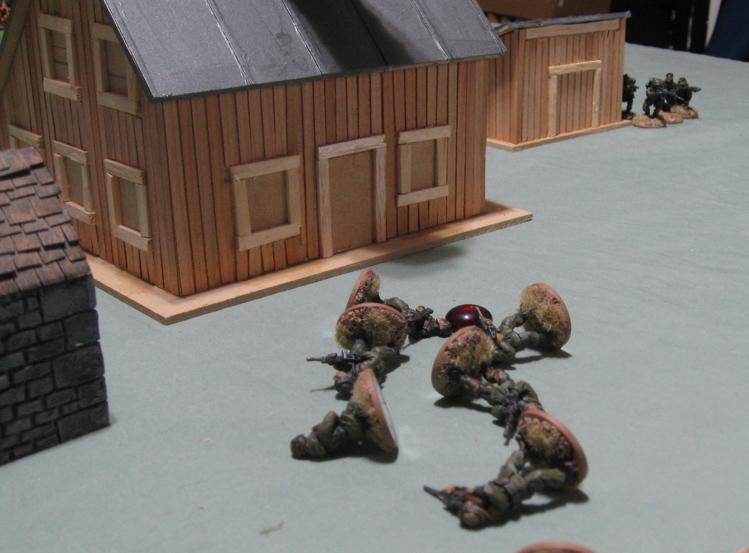 I suppose I could use them a Soviet zombie containment team...? After that…? So many project so close to completion that I’d just like to finish up… but which one FIRST!? French? Afghans? 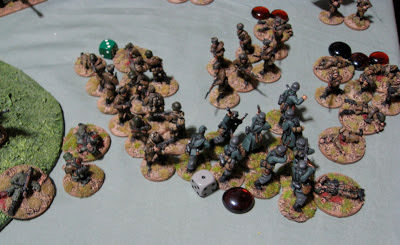 WW2 Soviets or Paras?